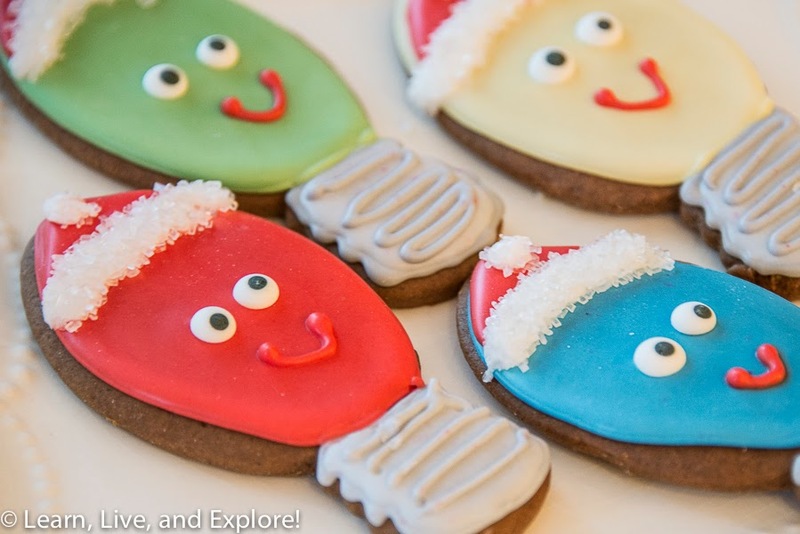 Holiday Baking 2014 ~ Learn, Live, and Explore! I haven't done much holiday baking this season, but I did decorate a few cookies. During this time of year, I prefer to switch from a butter cookie base to gingerbread because that's the quintessential taste of Christmas, I think. I did about five cut out shapes, and ended up liking three of them. The silly cartoon Christmas lightbulbs are very easy to make, and you don't even need the little red Santa hat to still make a great design. As for the other two cookies that turned out well, they are my own personal snow dance for more mountain snow! It's been a slow start to the ski season, and I was hoping to get some time on the slopes out west this month, but sadly it's looking like that's not going to happen anytime soon. 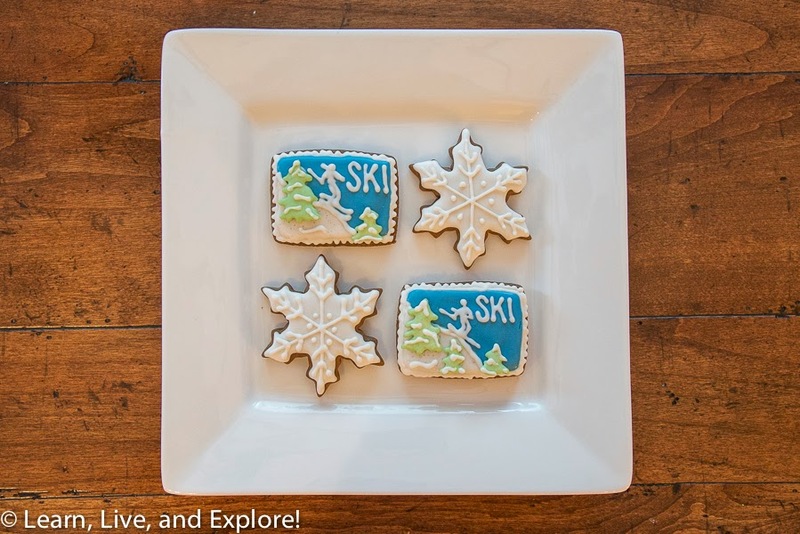 I guess I will just drown my skiing sorrows with these ski postcard cookies and snowflakes. If you want the recipe for butter cookies and royal icing, you can find them by following this link. Any gingerbread cookie recipe should work for these particular cookies. The decorating tips I used were a #1 for detail and #2 for borders. For the icing flooding, I used standard Wilton squeeze bottles. Clear sanding sugar was sprinkled on the Santa hats. As always, I recommend using Americolor gels for the coloring. 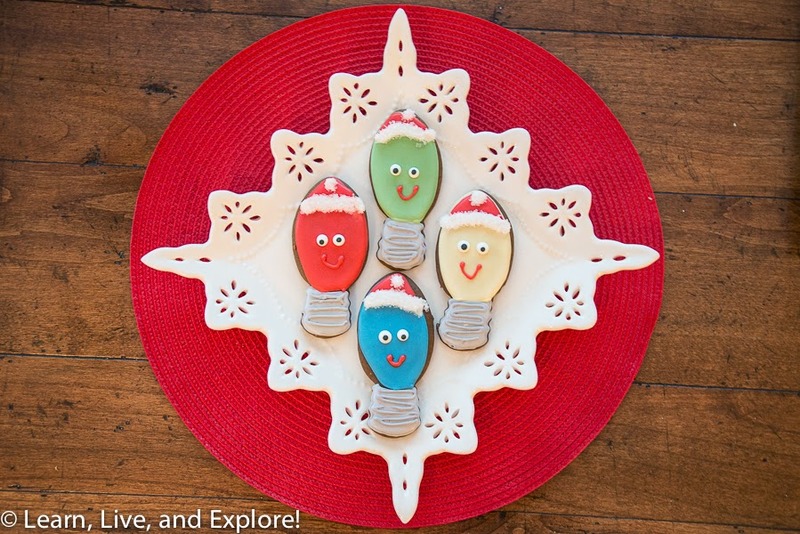 And a great website for cookie cutters and other supplies is Karen's Cookies. Finally, for the best tutorials on cookie decorating, visit The Sweet Adventures of Sugarbelle.